Watch Unbeaten IBF Welterweight World Champion Errol Spence Jr. and undefeated four-division champion Mikey Garcia went face-to-face at AT&T Stadium in Arlington, Texas at the official weigh-in before they go toe-to-toe at the same venue this Saturday in a Premier Boxing Champions on FOX Sports Pay-Per-View event. (photos by Fox Sports, Stacey Verbeek, Cowboys). 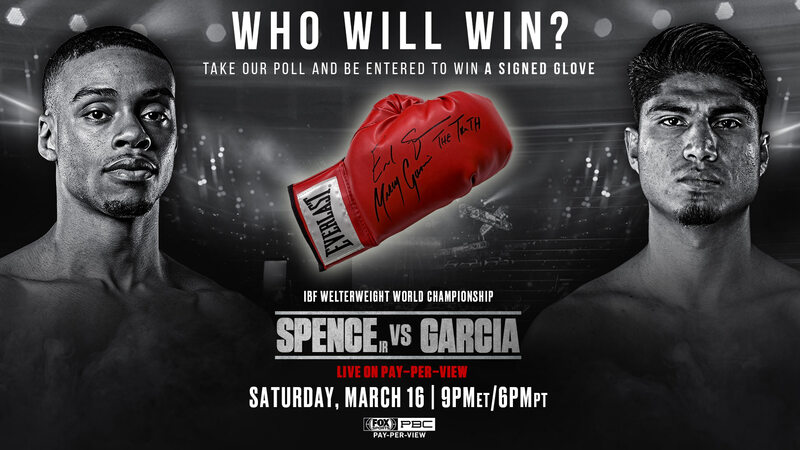 So keep watching and enjoy your time..
Spence and Garcia stepped on the scale for Saturday’s highly anticipated event and posed for photos for media in attendance ahead of this historic event. Tickets for Saturday’s event, which is promoted by Man Down Promotions and Garcia Promotions, in association with TGB Promotions and Ringstar Sports, are on sale now, and can be purchased at SeatGeek.com, the Official Ticketing Provider of AT&T Stadium.Respect box? Subscribe to our podcast — State of Combat with Brian Campbell — where we take an in-depth look at the world of boxing each week.